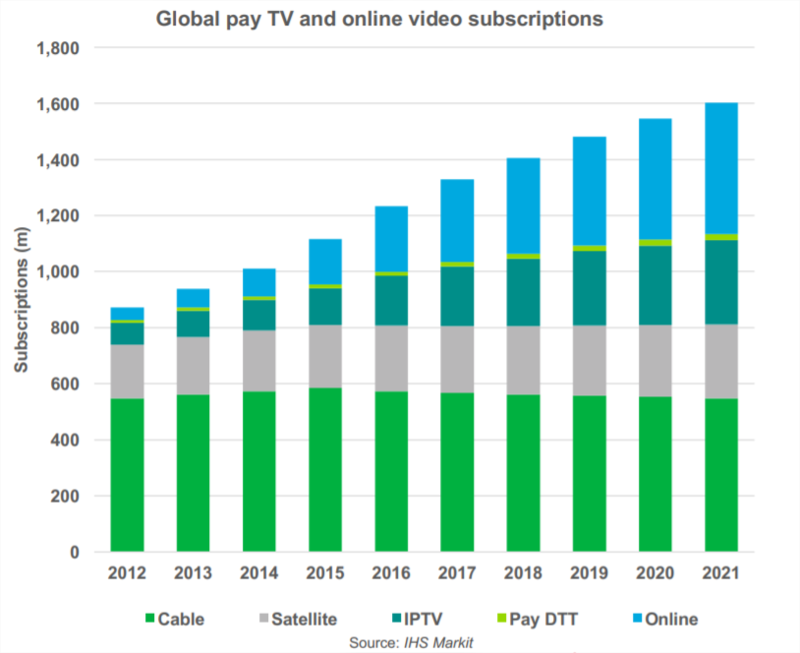 As the world of OTT continues to thrive and develop, bringing flocks of new players into the mix, a fresh set of money-making challenges have emerged for broadcasters. Despite the challenges, one continually attractive option for broadcasters comes in the form of live events. If an ample level of development and preparation is carried out beforehand, going live with OTT can prove very fruitful. Not only does live OTT gives broadcasters the chance to earn greater profits from content rights, but it has the power to fulfill original production potential. 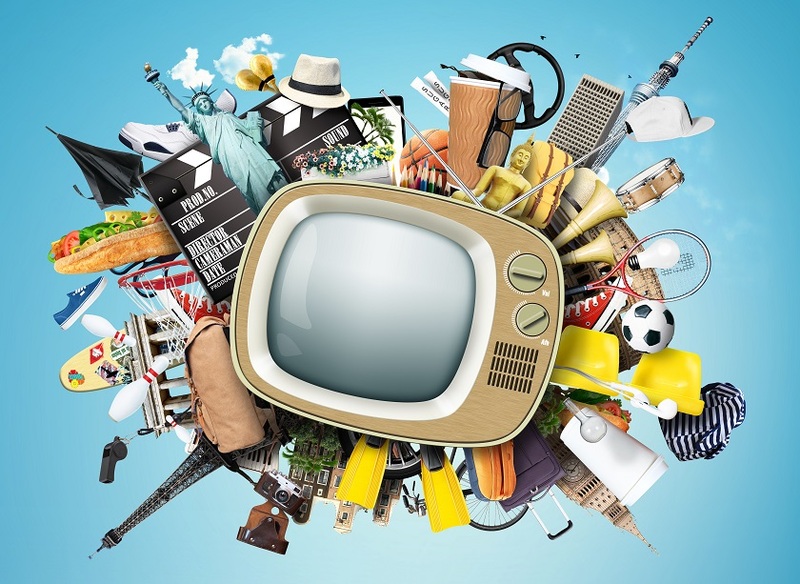 In addition to this, by delving into live OTT, broadcasters can build a strong and stable brand awareness while reducing their dependency on third parties – increasing autonomy as a result. That said, with content rights on the rise, it’s strongly expected that broadcasters will migrate towards subscription-like models to build stronger relationships with their viewers. Why? Happy fans and minimal churn make for recurring revenues in addition to a strong market position. 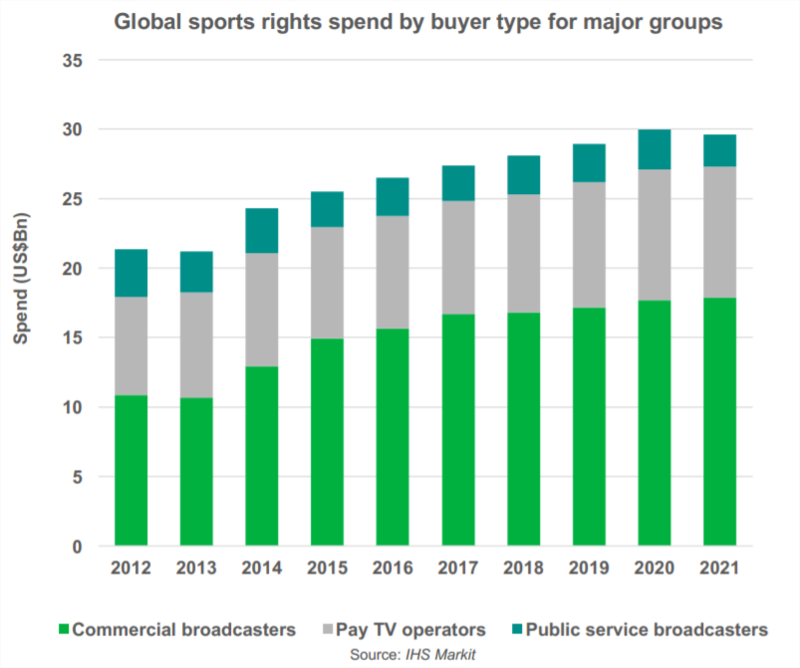 This chart from our OVP partner Kaltura and IHS Markit shows who will be buying sports content in the next few years. When speaking about this monetary challenges, broadcasters and experts in the UK use a new term for this model, namely SLIN. The abbreviation comes from Subscription-based linear OTT streaming, that offers the freedom, flexibility, and UX of SVOD, but with the linear, scheduled viewing model of traditional TV. In 2018, content owners will implement new strategies on sports content delivery to cater to new users while retaining existing ones. 2018 will be a year of innovation where the most forward-thinking broadcasters and content providers will come out on top.